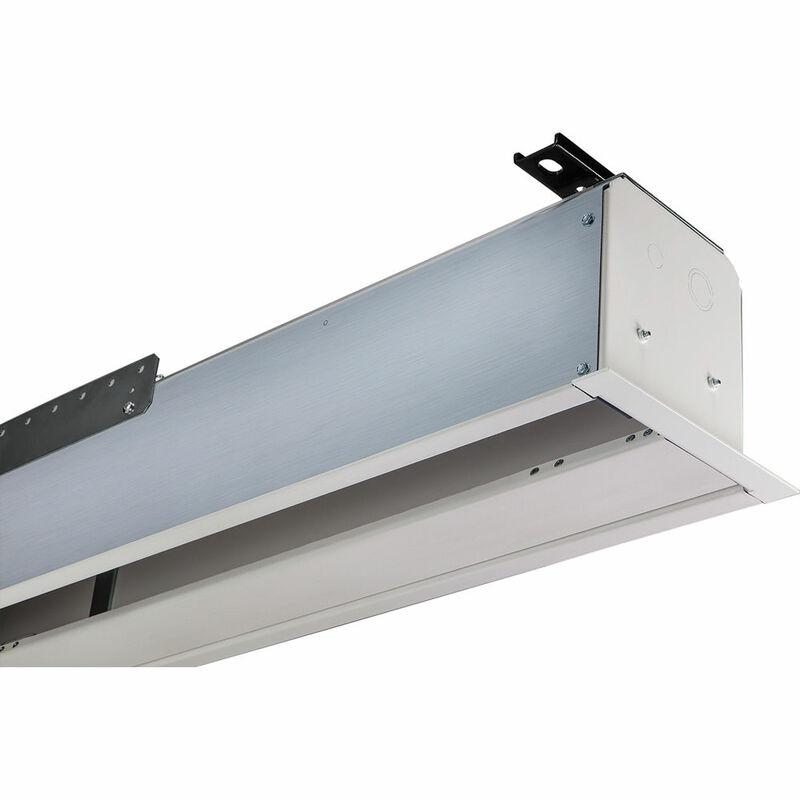 The white 120V 140016SCU Access FIT/Series V 60 x 80" Ceiling-Recessed Motorized Screen with LVC-IV Low Voltage Controller from Draper repackages the features of the Access line, in housing that is less than 6" tall. With a smaller footprint, it is optimized to fit into tight openings above the ceiling where larger ceiling-recessed models won't fit. 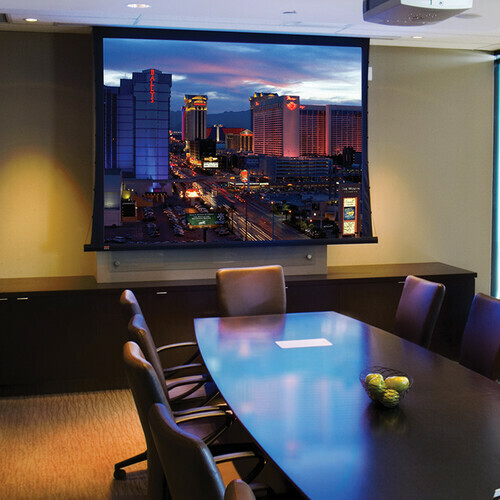 With Access FIT/Series V, you can install the case during the "dirty" phase of the construction process and keep the screen safe until you install the projector. The screen (motor-in-roller and attached viewing surface) installs quickly with preset latching roller brackets and electrical pin connectors. This eliminates job site damage.